"Happy Camper" and "Friendly Forrest" Collections. Top Dog Dies and sheets of heavyweight chipboard. I used some assorted alphabet stickers for the cover. I love the mix of larger prints with the smaller ones! book for a smaller child, you may want to try hand-tied buttons or brads instead. The new "Chippers" chipboard alphas are perfect for spelling out smaller words! This right here, my friend, is an EXCELLENT example of what makes you my hero and the best, most talented crafter I know!! 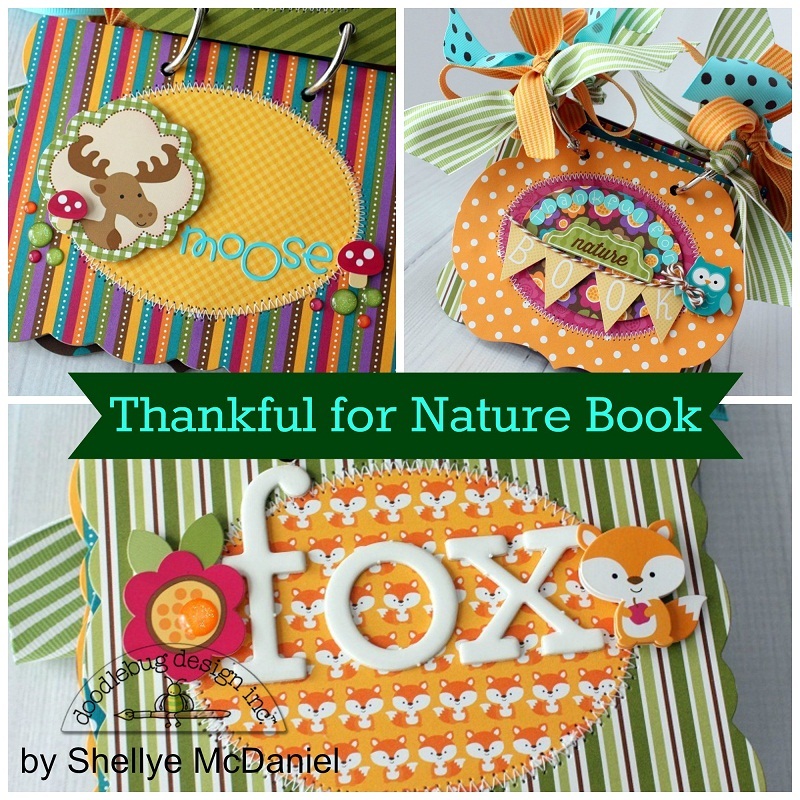 What cuteness, this is so well put-together and such a joy to see how you made it with Doodlebug goodness!! I am beyond thrilled to see things that you make and this one had grabbed my heart and will not let go and I cannot smiling from this ABSOLUTE cuteness!! !